Just after swearing in Alabama drug warrior Jeff Sessions as Attorney General, President Trump signed three new executive orders to pursue a ‘law and order’ agenda. One order seeks to protect police from violence, setting up a prelude to mandatory minimum sentencing and expanded definitions of crime. Although 2016 violent police deaths are up from the previous year, the general trend is down considerably. As we reported in 2015, killings of police spiked during alcohol prohibition in the 1920s, and again in the late 1960s as drug prohibition ramped up. 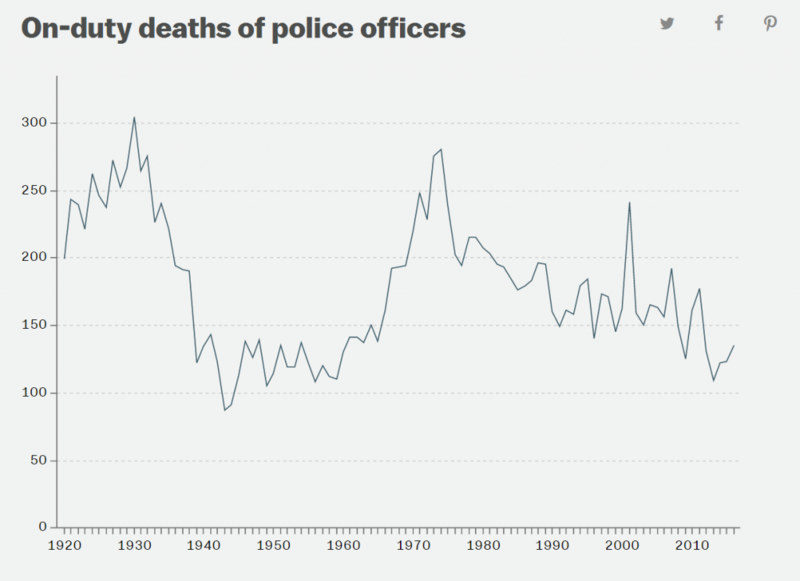 From there, killings of police have steadily declined, with recent years being almost the safest ever for cops. The other two executive orders seek to: 1) reduce crime, especially “illegal immigration, drug trafficking, and violent crime,” and, 2) direct a review of the Threat Mitigation Working Group so it can focus on international drug cartels. Mexican cartels will undoubtedly be the prime target. The ceremonious orders, underscored with false claims about rising crime and murder rates, would lead one to believe we are in the midst of an epidemic. 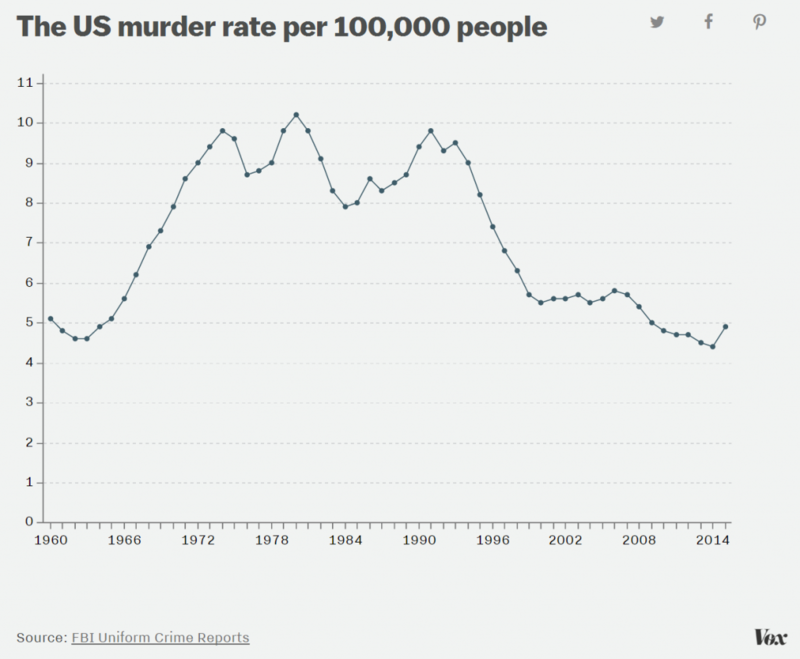 But the reality is that crime rates — and especially the murder rate — are at near historic lows. Also, several studies have shown that immigrants are less likely to commit crime than people born in the U.S.
We don’t really know yet how team Trump will carry out the orders, but we do know they are not guided by the facts. The ‘law and order’ ideology – a throwback to the Nixon strategy of capturing white fear by harping on inner city and immigrant crime – has long been an obsession with Trump and Sessions. Regarding the war on drugs, Trump gets points for saying he thinks states should be able to legalize cannabis. Sessions, however, is a rabid drug warrior who relies on falsehoods spouted by the DEA to justify his archaic thoughts on cannabis. Although legal weed states may be left alone, from the executive orders it appears the general War on Drugs is about to see a major escalation – to the delight of the prison industry and law enforcement engaged in policing for profit. Ramping up the drug war, which has done nothing to reduce drug supply or use, would be a disaster that serves no purpose other than empowering the police state. This approach would demonstrate a complete ignorance of history, economics and evolution. Where there is demand, there will be supply. If there is no legal market, there will be a black market. The absurdity of prohibition should have been realized after the alcohol prohibition experiment, but federal and state government nonetheless set their sights on other drugs. We know drug prohibition was not based on regard for the health of American people, but was instead the product of racism, suppression of political dissent, and corporations erasing competition. The drug war only worsens drug epidemics. The latest example is fentanyl, which is more potent than heroin but cheaper to produce. Fentanyl, a synthetic opioid developed by the pharmaceutical industry, is now a popular product from Mexican drug cartels and is becoming more deadly than heroin. In Portugal, where all drugs have been decriminalized for 16 years, problem users are more likely to seek out care and police are less likely to bother them. Overdose deaths have decreased dramatically, drug use is down, and far more people are in treatment programs. The drug war breeds crime, degrades the health of communities, destroys opportunities with lifelong felony raps, and tears apart families by putting parents in jail. The drug war allows cops to steal property through civil asset forfeiture and kill countless people – especially minorities – every year. The war on drugs is a war on people. It’s a threat to freedom and private property. Under prohibition, where one drug organization is taken down, another pops up to satisfy the demand. 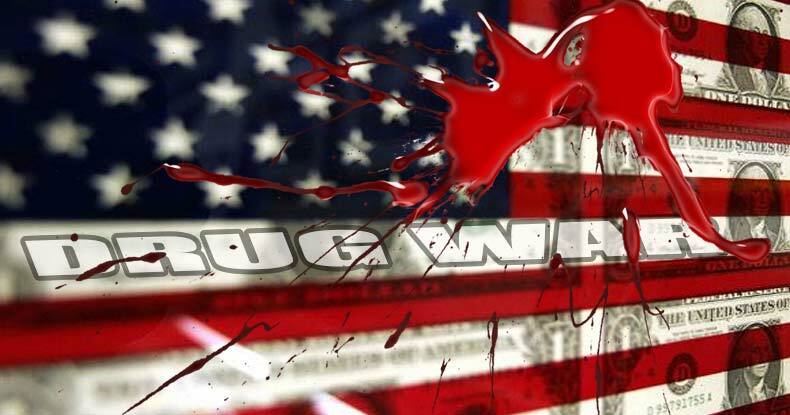 The flow of drugs within the U.S. has never been staunched, despite law enforcement spending a trillion dollars over the decades of prohibition. On the macro scale, after the U.S. began its massive anti-drug campaign in Colombia, the drug trade simply moved to Mexico. The drug war only makes drug traffickers smarter. As U.S. drug enforcement battled one type of delivery vehicle, such as fishing boats, traffickers turned to cigar boats and then narco-submarines. At the Mexican border, drugs are hidden in cars, taped to human ‘mules,’ brought through tunnels and launched with catapults. The efforts of law enforcement only serve as a ‘filter effect,’ which breeds super-traffickers who can beat the system – not unlike the predator-prey evolutionary arms race in nature. And there is the infamous episode during the 1980s where the CIA was supporting Nicaraguan rebels who were smuggling tons of cocaine into the U.S., making millions while creating a crack-cocaine epidemic in minority communities. The U.S. government denies that it authorized the smuggling, but to claim that it was unaware of these activities is beyond absurd. Under prohibition, drug traffickers get more willing and able to carry out violence on a massive scale, as seen in the horrendous torture and murders of the Mexican drug cartels. In a black market, violence is a major tactic to disrupt competitors and increase market share of products in high demand. All of this exists because of the War on Drugs. Escalating the drug war will not reverse these phenomena. There is, however, stark evidence that ending the war on drugs would end the supremacy of drug cartels. As U.S. states have legalized cannabis, the amount of cannabis seized by federal, state and local officers has fallen – 37 percent since 2011. In predictable fashion, cartels have responded by pushing bigger quantities of more dangerous drugs, namely cocaine, meth, heroin and fentanyl. To truly put drug cartels out of business, the only way is to decriminalize drugs. At the same time, people would be able to procure products through a safe and legal market. Those suffering with addiction could find treatment without fear of being thrown in a cage. Instead of reducing supply and demand, “the international drug trade appears to be more profitable and efficient than ever before” – generating about $350 billion annually worldwide. Cocaine and heroin have gotten stronger and less expensive. No amount of militarized policing and assaults on civil liberties will stop drug trafficking. By stoking fear about non-existent crime epidemics, Trump is rationalizing his power grab while directing outrage at immigrants or ‘outgroups’ – a fundamental pillar of authoritarianism. Trump is taking a page from the playbook of Richard Nixon, who used the phrase ‘law and order’ to go after minorities and antiwar dissenters. During the campaign, Trump suggested raising mandatory minimum sentences to fight the opioid epidemic, and called for stop-and-frisk policing – which doesn’t work and ends up targeting minorities – to be revived and increased. Jails will certainly be fuller, but experts have concluded that mass incarceration – which costs the U.S. $182 billion a year – has very little effect on crime. Jailing 500,000 people for drug-related crimes results in $40 billion a year of lost productivity. Research also shows that aggressive policing strategies result in more crime, as community distrust runs rampant. If these executive orders turn into anything more than political grandstanding, the American people will suffer. We cannot afford the escalation of a miserable war on drugs that is nothing more than a war on people.